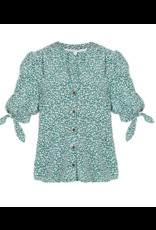 Channel modern femininity in our Gizela Blouse. 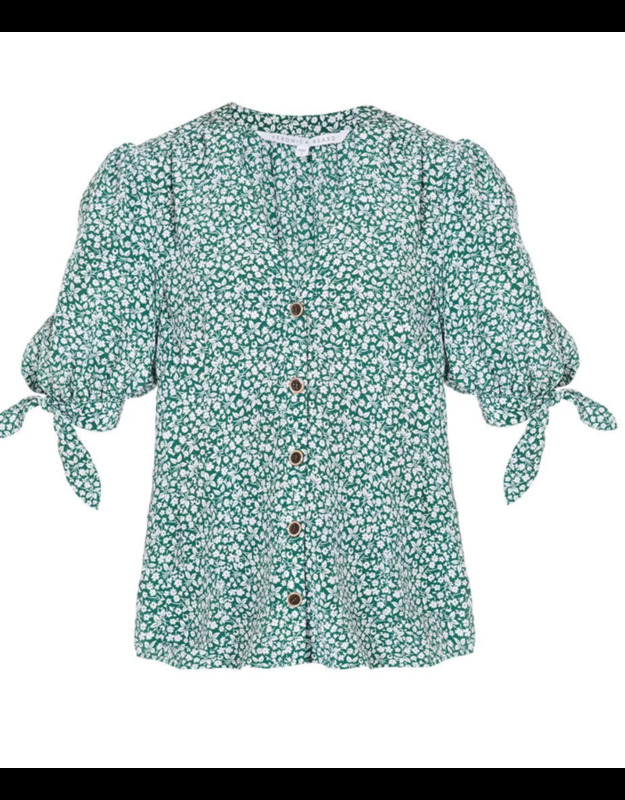 Designed in sumptuous silk, this style features a mini floral print and puffed sleeves. 100% Silk. Organza at shoulders. Tie detail at sleeve. 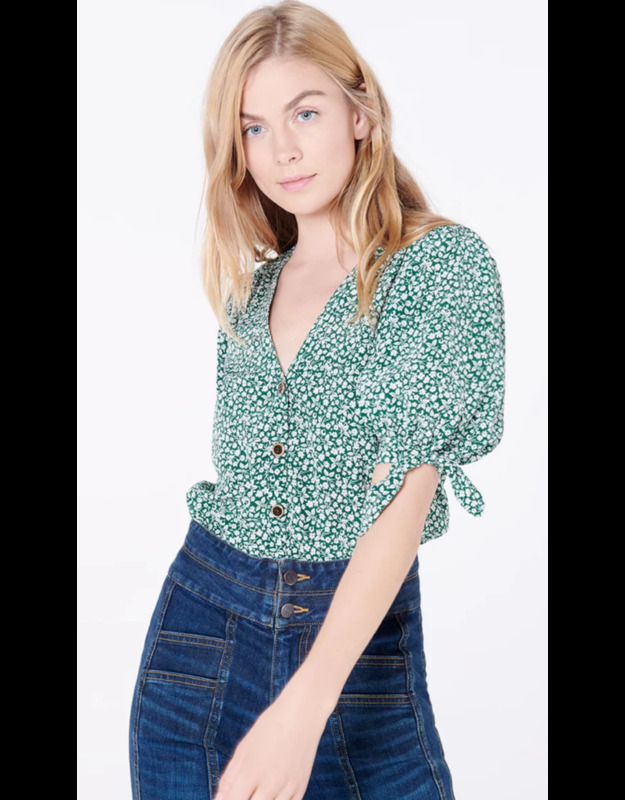 Center front button down closure. Professional dry-clean only.